By James Pattison. 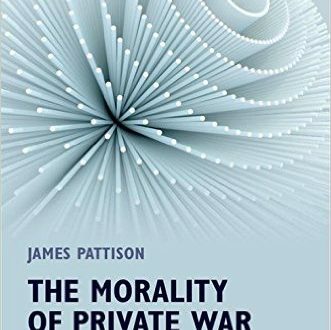 Provides an assessment of the moral arguments for and against the use of Private Military & Security Companies (PMSCs) and argues against their use in most cases because there are inherent moral problems stemming from the lack of effective regulation, and questions like, Does the potential for private contractors to possess mercenary motives affect whether they can use military force? Does a state abdicate an essential responsibility when it employs PMSCs? Is the use of PMSCs morally preferable to the alternatives, such as an all-volunteer force and a conscripted army? What are the effects of treating military services as a commodity for the governing rules of the international system? Read more.